​Our plan for education to understand the world and change it for the better.  Thomas Tallis is a creative comprehensive school committed to a broad and balanced entitlement curriculum. Evidence informed, we aim to use consistently excellent teaching, data, and CPD to build quality, fairness and success for our young people for the long term. Literacy and numeracy across the curriculum enhance progress for everyone. Research focuses our thinking and improves our teaching and learning. We scrutinise our achievements and seek to improve them for all of our children. Our Habits of persistence, discipline, imagination, inquisitiveness and collaboration permeate everything we do. All our achievement and curriculum plans are based on this. Inclusive Tallis enables our young people to understand themselves in a happy community characterised by positive peer pressure. Decision-making humanely balances the needs of individuals in community: we look for creative solutions to problems. Adults try to be good roles models at all times. We use feedback in all aspects of our life to develop young people’s independence and improve our service. Despite external pressures, children are the heart of our school and each one is seen, valued and known. Our character values, which help develop character for learning as well as personal development are fairness, honesty, kindness, respect and optimism. They permeate everything we do. All our inclusion plans are based on this. Community Tallis aims to commission, sustain and model the best possible context for our students. We seek enrichment for our students, improvement of their life outcomes and the development of innovative practice. We know, understand and work with parents, our community inside and outside school and in a national context to help students and staff flourish. We are committed to sharing and collaborating with other schools for the common good. Governors support our strengths and challenge strategically. Our community framework of connecting, communicating and collaborating permeates everything we do. All of our community and resourcing plans are based on this. Above all, we mean what we say. It shines out of you that you really care about each and every student, that each student is given a fair chance, a decent education and treated as an individual.